Because the Ironclaw was built for larger hands, I needed extra time to become comfortable with the over shape of the mouse. After a few hours, I was able to familiarize myself with the shape and the button positions, which allows me to slowly improve my experience during gaming. The 3391 optical sensor felt very stable and predictable as it had no acceleration or filtering. 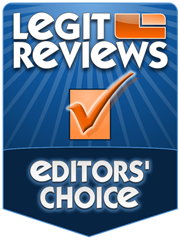 It performed well in game and for editing these photos for this review. I used the mouse at a DPI of 2000, but 18,000 DPI was more than enough for what I was doing. There is a lot that goes into a topic like this; should you use a low DPI or a high DPI for gaming? I personally prefer something over 2000 DPI but nothing more than 3500 DPI for gaming. I could notice quite a bit of jittering with slow movements at a very low DPI, but the jitter was nonexistent at 2000 DPI. But if you can pull off fancy moves and headshot every enemy that gets in your way, stick with whatever you have and be happy with it. Although there may be some mixed feelings towards the larger side buttons, I thought they worked perfectly fine for my use case. My thumb sat well on top of both buttons, which allowed me to access them at any time. I used the side buttons a lot just for normal computing and gaming, so I thought they felt great to click as they were the right size for what I did. Of course, this is purely subjective as some users may see these buttons as too large. I did find the left click button to have somewhat of a rattle when simply tapping on it. When comparing the Ironclaw to other gaming mice, I was surprised to see how much wider it was compared to the Fnatic Clutch 2. The Clutch 2 did have a slightly longer shape with a slimmer design overall. This allowed the scroll wheel to sit closer up to the front of the mouse. Both the Ironclaw and Clutch 2 were almost the same length, making both mice more ideal for users with larger hands. I did find the Ironclaw to be more comfortable and easier to grip compared to the Clutch 2. 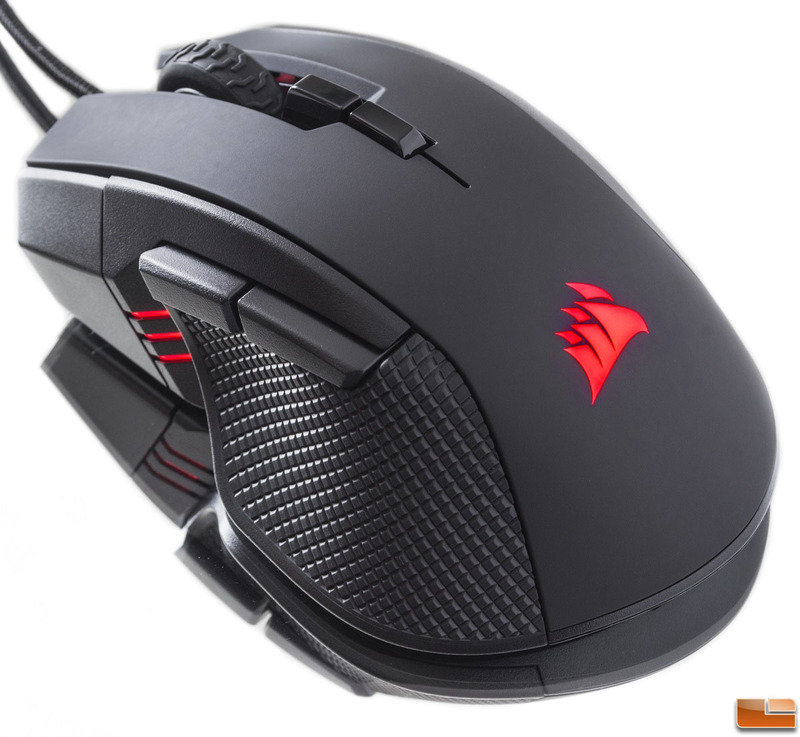 Although made of mostly plastic, the 105 grams on the Ironclaw did allow me to throw the mouse around quite a bit during intense gaming thanks to its light-weight design and body shape. I am happy to see a light-weight gaming mouse from Corsair that includes a top optical sensor, a comfortable body shape, and standard features like RGB illumination and software support. Corsair does offer the M65 Elite gaming mouse that comes with the same 3391 optical sensor and weighs in at 97 grams; a great weight reduction over the heavier M65 Pro. My only concern with the M65 series is the body design as they are somewhat harder to grip compared to the Ironclaw. The onboard memory profiles on these more recent Corsair devices are a huge touch as they make these products portable when it comes to switching between different computers. This eliminated the need of the Corsair iCUE software from running during system startup, but the more complicated lighting effects will require the iCUE software running to work. The Corsair Ironclaw RGB gaming mouse is currently available online for $59.99 shipped at Amazon. At this price range, this mouse sits close to the Logitech G502 HERO and the Corsair M65 Elite gaming mice. The G502 HERO gaming mouse maintains the same body shape and design as its predecessors because of its comfortable body design. Personally, I find the G502 HERO to be slightly more comfortable than the Ironclaw, but it does come with a higher price tag due to the extra buttons and weight-tuning system. 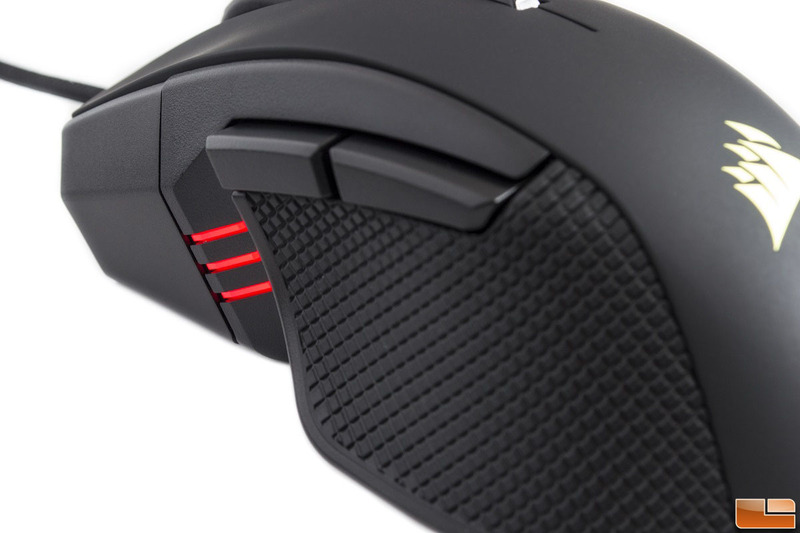 Users with smaller hands may find the Ironclaw too big for their hands as this mouse is meant for palm grip users and users with larger hands. I have medium sized hands, but I was able to familiarize myself with the body shape of the mouse after playing around with it for a while. Gamers who are coming from an older gaming mouse should consider the Corsair Ironclaw RGB as their next upgrade due to its competitive price point, sensor performance, and light-weight design. Just be aware of the larger size and the large side buttons, as these may be a pro or a con depending on your preferences. Because of this, I am giving this mouse our editors’ choice award due to its value, features, and functionality. Legit Bottom Line: The Corsair Ironclaw RGB gaming mouse offers great gaming performance with the PixArt PWM 3391 optical sensor, its comfortable design, and its light-weight construction. If you are looking for a light-weight and affordable gaming mouse without the extra bells and whistles, the Ironclaw RGB might be right up your alley.